The first interactive poster that plays music using printed circuits with conductive ink trails has been developed by British scientists, research students and technology industries. 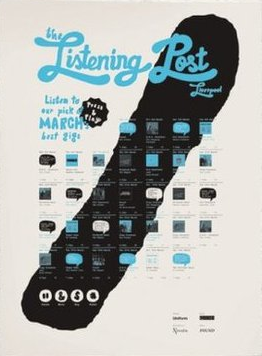 Listening Post plays song clips when a thumbnail image is pressed. The potential for 'smart paper' in communications and packaging is exciting. Soon print will be singing and talking to us. More.